Kathy and Jeff Corey, who own Day's Jewelers, are the recipients of the 2017 Mid-Maine Chamber of Commerce Distinguished Community Service Award. WATERVILLE — In the early 1980s Kathy and Jeff Corey traveled the Eastern Seaboard, searching for a place to open a jewelry store. They thought about Waterville but decided instead on Baltimore, Maryland, after discovering Waterville was already home to four jewelry stores. 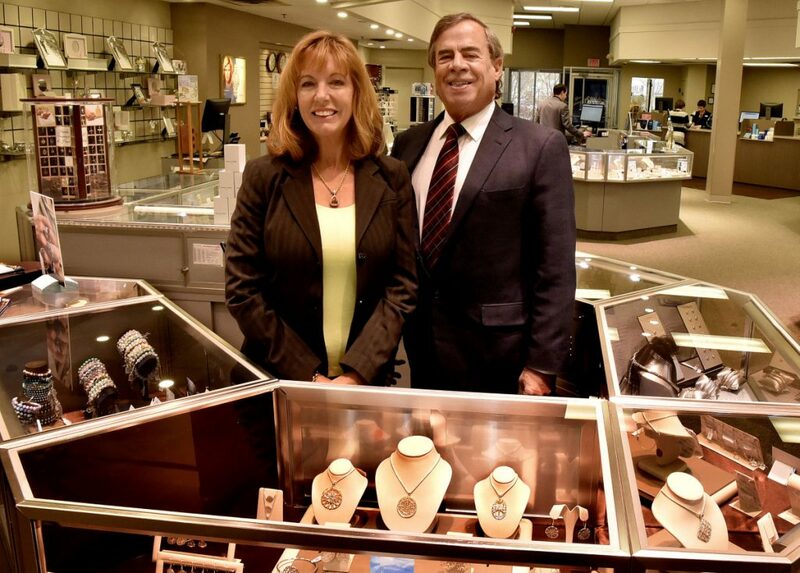 They were ready to open the store in Maryland when the couple, who both grew up in northern Maine, learned that one of the Waterville stores — Day’s Jewelers — was closing. Thirty-four years later, the couple has seven stores in Maine and New Hampshire and 140 employees. The pair, who live in Winslow, are also this year’s recipient of the Mid-Maine Chamber of Commerce Distinguished Community Service Award. In addition to raising three children, the couple has a long résumé of community service work in Waterville, including Jeff Corey’s involvement in co-founding two popular downtown events, the annual Taste of Waterville and Kringleville and the Parade of Lights, which take place during the holidays. Corey, who is vice president of marketing for the company, also was named 2017 Citizen of the Year in Central Maine by the Boy Scouts of America. Kathy Corey, who works as vice president of merchandising and product distribution, is on the board of directors of Eastern Maine Healthcare Systems and has been on the boards of the Mid-Maine Chamber of Commerce, Inland Hospital, Kennebec Valley Community College and the Waterville Development Corp.
Their propensity to get involved in the community also extends to the expectations they set for their employees. Managers are expected to participate in community service as part of their job descriptions, and giving back is encouraged among all employees. As a result, the company culture has earned both local and national recognition. Day’s was named 2016 Retailer of the Year by the Retail Association of Maine and is one of five independent retail jewelers to be certified by the Responsible Jewelry Council as the most social, ethical and environmentally responsible jewelers in the world, according to the chamber. In 2017, the company also was chosen as the Retailer of the Year by the Women’s Jewelers Association of America. Looking back, Jeff Corey said the Waterville community allowed the pair to be successful and it’s a key reason why they want to keep giving back.